Pleasure Island at Downtown Disney. 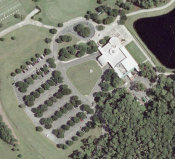 Bonnet Creek Golf Course Clubhouse. Magic Kingdom Parking toll plaza. Casting Building at Downtown Disney. 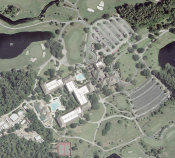 This picture is a satellite image of the Downtown Disney including both Pleasure Island and the Westside. 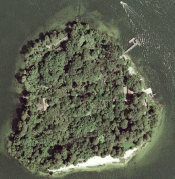 This picture is a satellite image of Discovery Island located in the center of Bay Lake. 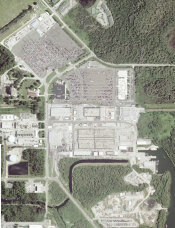 The Island was in use until Animal Kingdom opened. 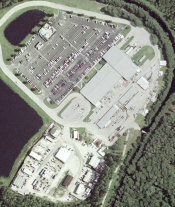 This picture is a satellite image of the this service/backstage area is just to the East of the Port Orleans Resort. This picture is a satellite image of the Service/Backstage area just North of the Magic Kingdom, added a bit more to show the 20,000 Leagues subs in the bottom right.